The UTP 9065 series is a universal tester platform for functional and run-in testing, which includes an integrated sUTP4510 as its measurement core. 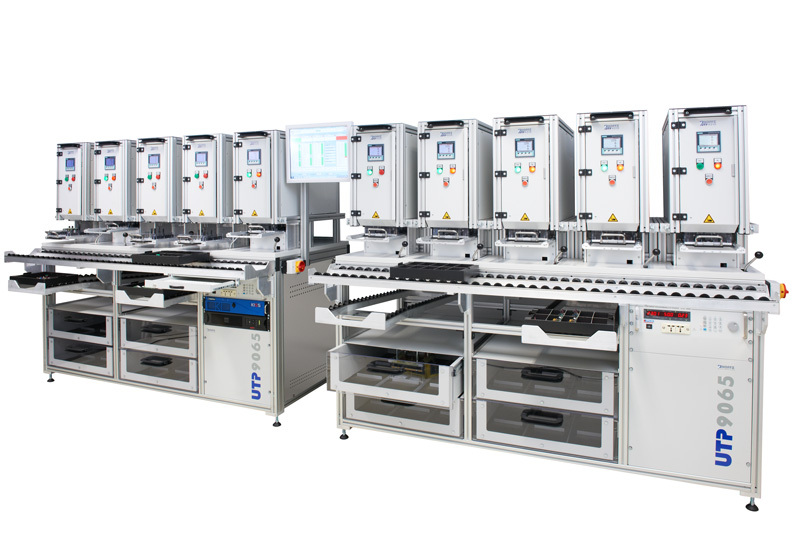 It comprises 10 test cells that allow parallel testing of 10 different devices under test. These tests can be designed and conducted individually and independently of each other. 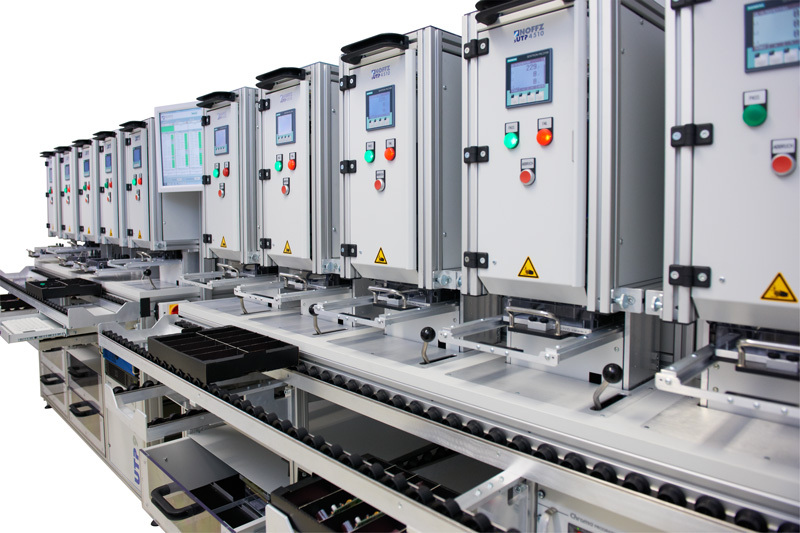 Each test cell contains an adapter system with a snap closure for fast exchanges, so that it is possible to replace device adapters for a new test series with a minimum loss of time. The system includes an automated recognition of the installed device adapter, of the device under test and of active test cells. It is possible to conduct various performance tests and communications testing as well as functional testing within the different cells. The inline variant includes a circulating system with specific product carriers. The system runs beneath the test cells and provides the suitable device under test for each cell, on schedule. The devices are clutched by a pneumatic claw, removed from the product carrier and accurately placed within the test cell. The UTP 9065 is a universal tester platform for parallel inline testing of at least 10 different devices under test in separate test cells with suitable test adapters. It allows numerous electrical tests such as performance tests, functional testing and communications testing. 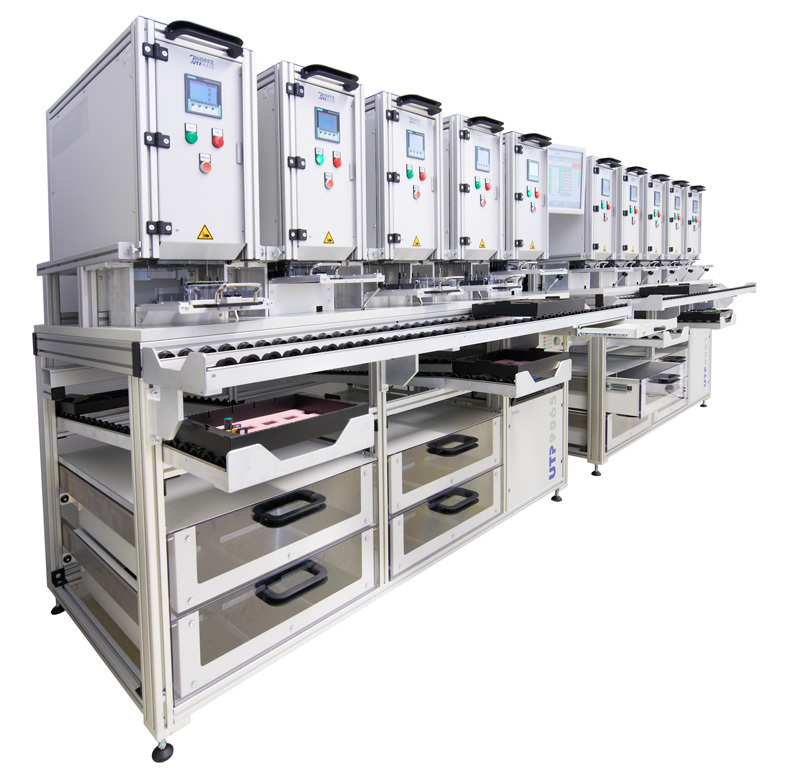 The modular tester system can be flexibly upgraded for a completely automated inline test or it can be expanded by integrating further test cells for a larger number of parallel test cycles.